One of the foundational requirements of health is an adequate fuel supply…aka food. The food you eat drives energy production in the body and provides raw materials for cellular repair and growth. At The Powerhouse, we teach the principles of Eat By Design. 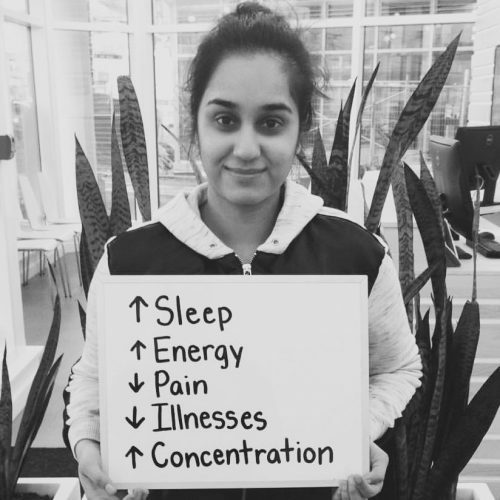 Eat By Design focuses on fueling your body for what your genes expect. 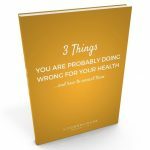 The focus is on foods with the greatest nutritional density with the least toxicity. With that in mind, we’ve prepared a list of 10 easy, By Design recipes you can prepare in under 10 minutes. 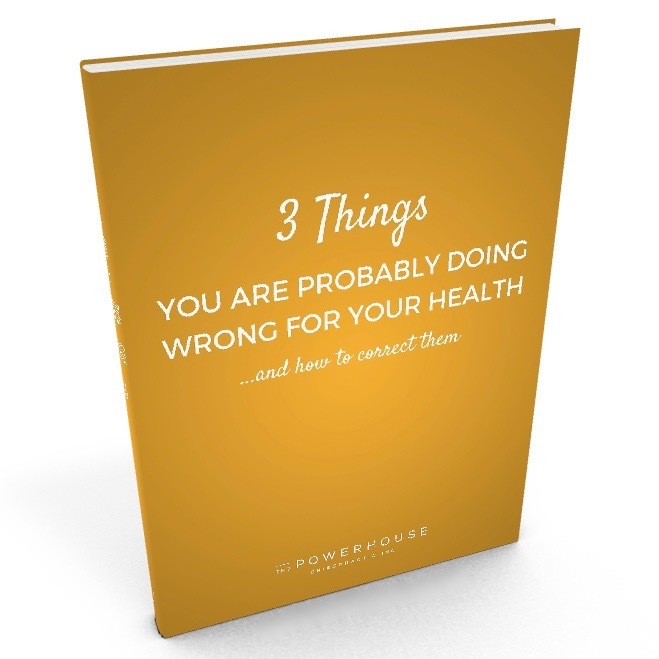 For those of who have been through the 30 Day Eat By Design Challenge, you know it can be tough to constantly think of new meal ideas, especially when switching from a primarily processed food or grain-based diet…. …so we want to make the transition as easy as possible for you. Join us for the next Eat By Design Workshop and your Challenge registration is included! 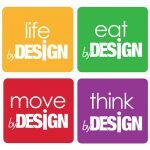 Want to participate in the 30 Day Eat By Design Challenge? 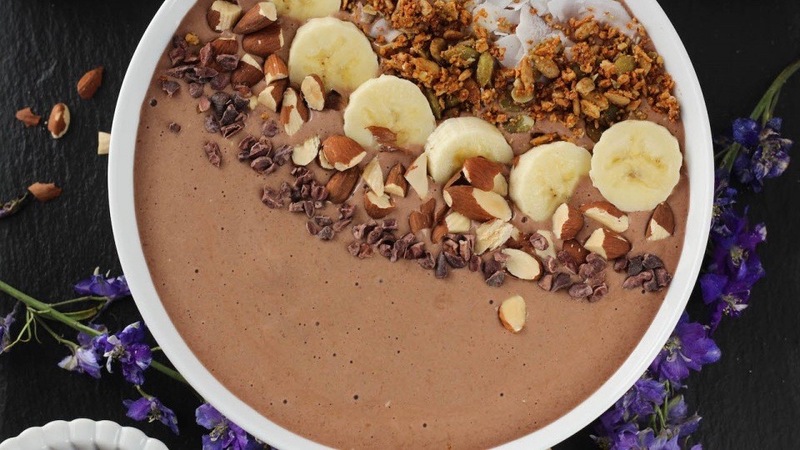 Place bananas, almond milk, protein powder, sunflower seed butter, cocoa powder, honey, and vanilla extract in a blender and blend until smooth and creamy. Pour mixture into 2-3 bowls and top with all toppings and whatever toppings you prefer. 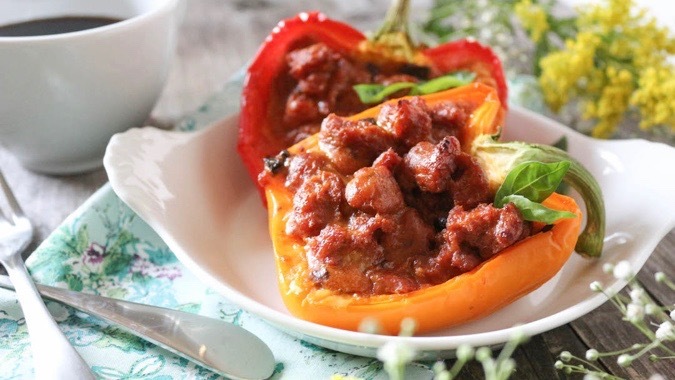 Cut bell peppers in half and place in an greased 8×8 rimmed baking dish cut side up. (If any of the bell pepper halves are leaving to the side, ball up a piece of aluminum foil and place it in the crevices to help keep them sitting up right – this will keep the egg mixture for pouring out). Place Italian sausage in a medium pan over medium heat. Break up with a wooden spoon. Once browned, add chopped mushrooms and cook until soft. Lastly, add pizza sauce, basil and a bit of salt and pepper then mix to combine. Whisk eggs in a large bowl then pour in Italian sausage mixture and whisk to combine. Use a ladle to pour mixture into each pepper half. Place in oven to bake for 45-50 minutes, or until egg is completely cooked through and no jiggle remains. 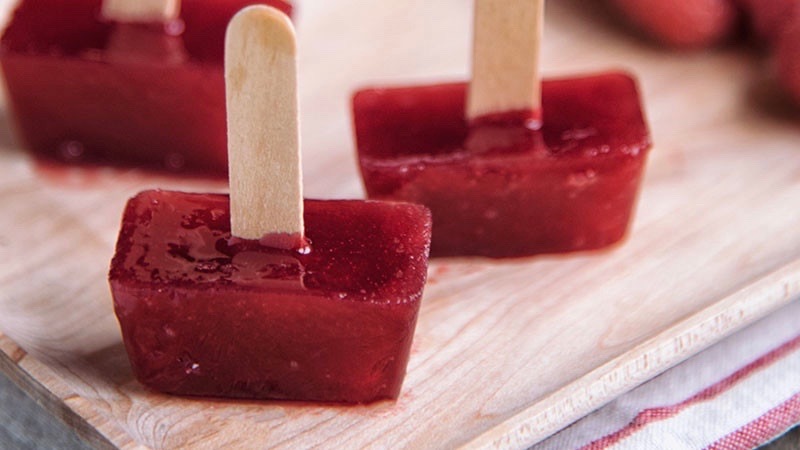 Let cool slightly before eating! Preheat oven to 350 F. Line a large baking sheet with parchment paper. 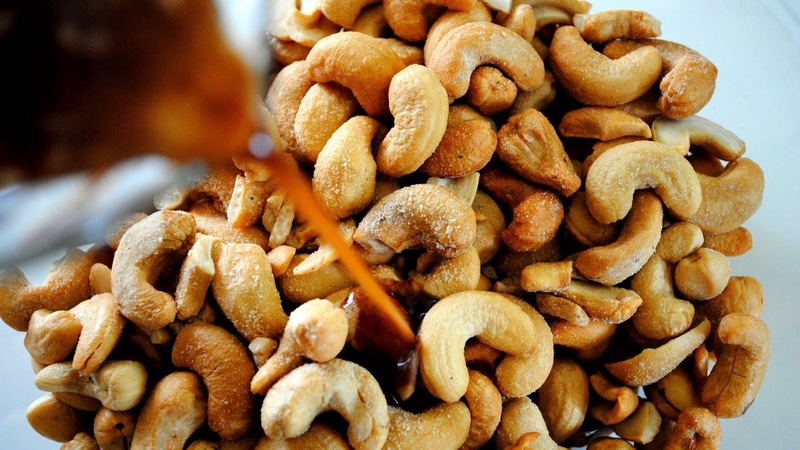 Dump cashews in a large bowl. Add honey, ghee, vanilla, and salt. Spread the nuts on the baking sheet lined with parchment paper. Bake the nuts for 6 minutes. Stir. Bake for another 6 minutes, or until golden brown. Combine the chicken broth, coconut milk, lime juice, Thai seasoning, shredded vegetables and chicken pieces in a large saucepan. Season to taste with salt and pepper. 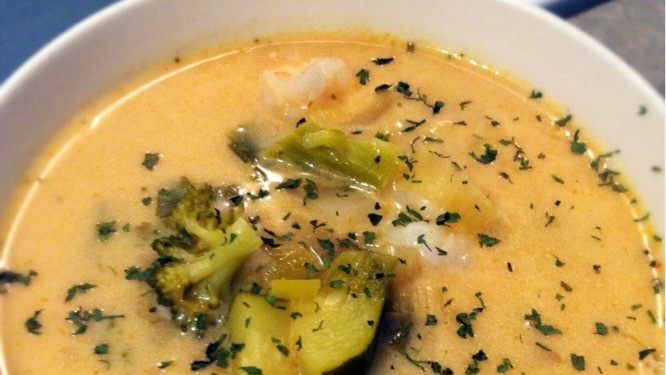 Bring the soup to a boil, then reduce the heat and let it simmer, covered, for 15 minutes or until the vegetables are getting slightly tender. Serve warm, with lime wedges. Whisk together all ingredients for vinaigrette. 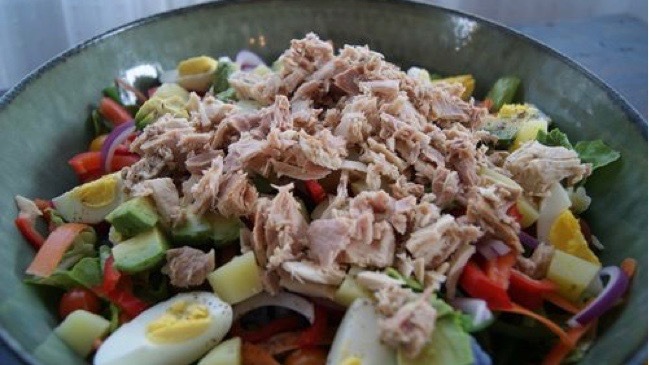 Place all salad ingredients in a bowl together and drizzle with vinaigrette dressing. Cut the beef into bite sized pieces and place in an airtight container or large Ziploc bag to marinade. Combine the mustard, tamari, apple cider vinegar and honey and pour over the beef. Mix together the minced garlic, smoked paprika, salt and pepper. Pour overtop of the beef and again, combine. Leave to marinade for 2 hours or overnight. When ready to cook, preheat your barbecue to low-medium heat. If your skewers are wooden, soak in water for 5 minutes. 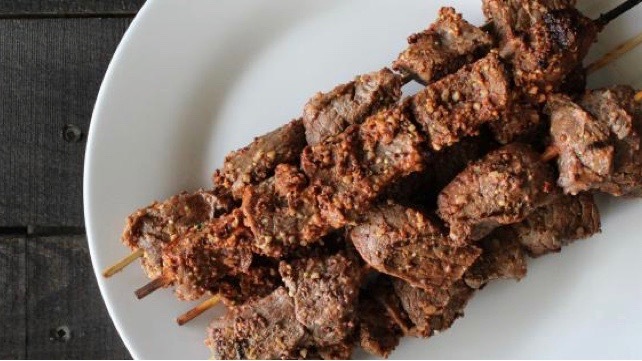 Assemble the beef on the skewer, placing 5 pieces of beef per skewer. Cook over low heat for 5 minutes per side or until cooked to your liking. Peel and spiralize zucchini into noodles. Then place on a couple layers of paper towels and place another paper towel on top then let sit while you prep the shrimp. You’ll want it to sit for 5+ minutes to help remove the excess water. Place a large sauté pan over medium heat and add 2 tablespoons of butter. Once hot, season shrimp with salt and garlic powder then place in the pan to cook for 1-2 minutes per side, until they become pink and the tails begin to curl. Remove from pan and set aside. Add garlic and shallot to the hot pan and sauté for about 3 minutes, until fragrant and the shallot begins to become translucent. Add the butter then once melted, add lemon juice, chicken stock and zest to the pan, scraping up any browned bits from the bottom of the pan. Bring to a low boil. Add lemon slices and capers and reduce heat to low. Cook for 4 to 5 minutes or until lemon slices have softened. 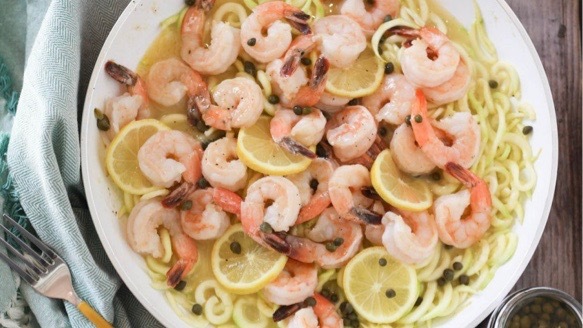 Add shrimp and zucchini noodles to the pan, toss to coat and let cook for another 2-3 minutes, until shrimp is warmed through and noodles have softened a bit. Serve with freshly cracked black pepper and fresh parsley on top! Peel, slice, and freeze the peaches and banana for 2 hours or overnight. Once frozen, add to a food processor with a squirt of lime juice and blend until smooth. In a medium sized mixing bowl combine dry ingredients. In a small mixing bowl beat eggs, maple syrup, and vanilla extract with a hand mixer. Pour wet ingredients into dry and beat with hand mixer until combined. Melt coconut oil, pour into batter, and continue to blend until combined. 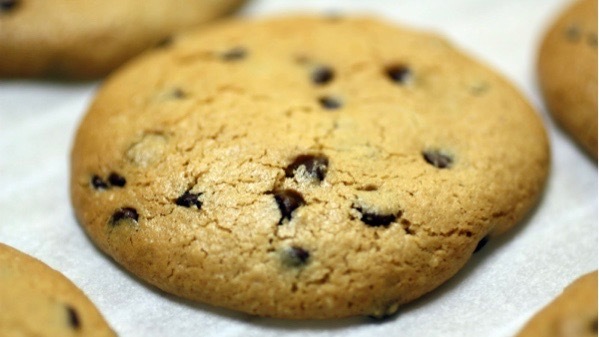 On a parchment lined baking sheet, drop balls of cookie dough, about a tablespoon in size. 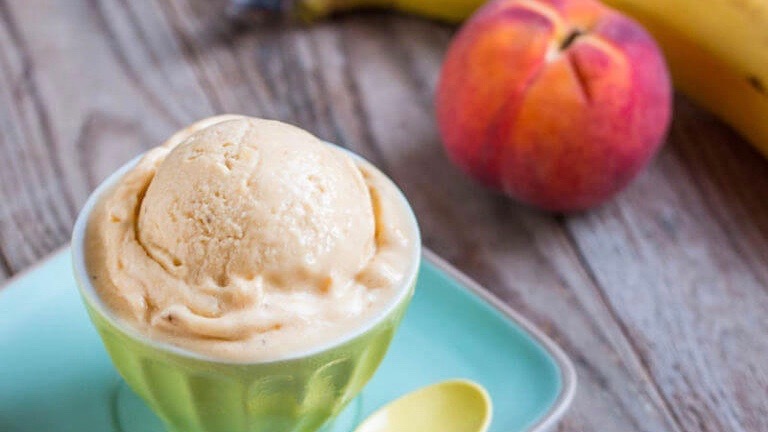 Let cool and serve with a cold glass of almond milk!